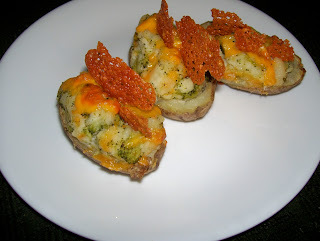 In the 1980s twice-baked potatoes became a new favorite in restaurants, mall food-courts and in people's homes. Although beyond-the-basic's potato recipes had been around for more than 100 years, this type of potato was not something I had ever tasted until resurfaced in the 80s. Potatoes are a staple in many American homes and are usually very inexpensive in the fall and winter months. Whether they are Red, russet, white, gold or yellow, potatoes satisfy and comfort on cold days and nights. For an extra special meal, I will make Deluxe Twice-baked Potatoes and serve it as the entree along with fresh fruit or a salad. 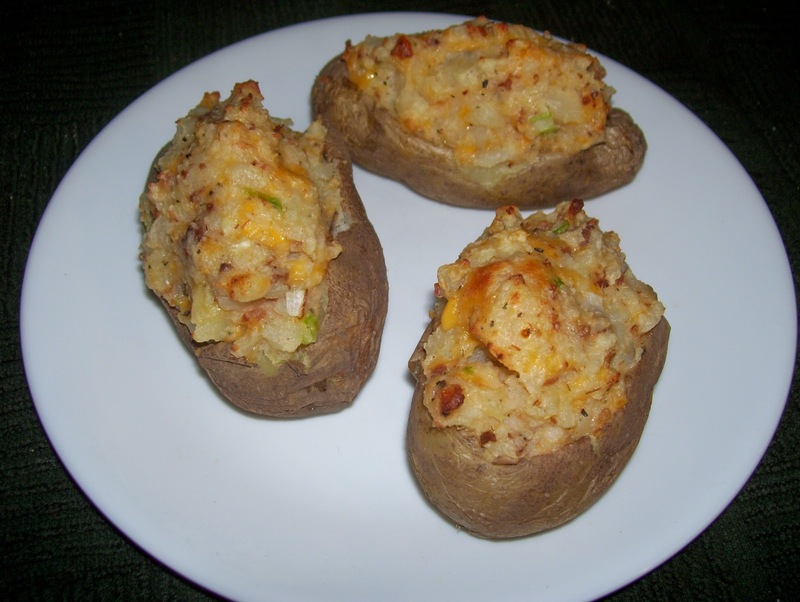 Bake potatoes in oven until tender or use a potato sack and bake in the microwave. Cut a slice from the top of each cooked potato. Carefully scoop insides out of each potato leaving enough potato inside to maintain the potato shape. Reserve shells. Mash potato pulp well and mix in butter until smooth. Add sour cream and ingredients of choice. Mix well. Divide mixture between the potatoes and stuff into shells. Top potatoes with more shredded cheese. Place potatoes on a baking sheet and bake at 450 degrees for 10 minutes until tops are browned. Cheese chips: Drop a few teaspoons of cheese on the hot baking sheet in the oven. The cheese will melt and brown into chips. Remove. Garnish tops of potatoes with cheese chips for a more deluxe looking potato. Serve immediately with margarine or butter if desired. Optional toppings: a variety of cheeses may be substituted or combined with cheddar.